Ten girls varsity volleyball teams joined the Firebirds September 14 and 15 for the annual Firebird Classic! The team started off strong, notching three wins against Morse High School, Valley Center and an undefeated San Pasqual High School. 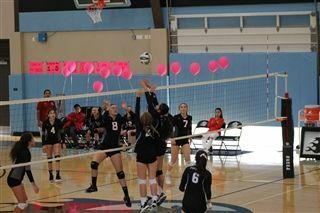 During the following day's playoffs, the girls volleyball team beat Escondido Charter. The players suffered a nail-biting loss against Mt. Carmel High School, landing them in third place overall. "The girls played outstanding and really showed heart and perseverance," said Coach Simmons.